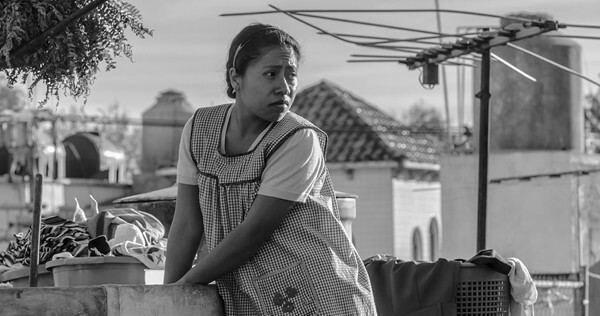 Roma, 135 mins., debuted at Venice and won the Leone d'Oro and SIGNIS Award, and showed in over a dozen other major international film festivals including Telluride, Toronto, Busan, Mill Valley, London, and the New York Film Festival, as part of which it was screened for this review (6 Oct. 2018). Cuarón having been called away, Benicio del Toro gave a rousing introduction to the film, declaring it to be not only Cuarón's best but number five of his own five favorite films. US release date: 14 Dec. 2018. Metascore: 95.